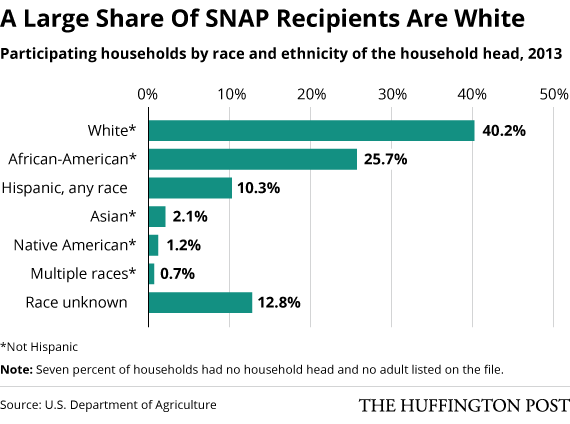 SHANKHNAD.ORG: Whites are 50% of all food stamps receivers. Nearly one-third of food stamp beneficiaries lived in a household where at least one member had some earned income in 2013. Different states have different eligibility rules for the program, but federal law puts the upper income limit at 200 percent of the poverty line, currently $20,090 for a family of three. Many SNAP recipients qualify based on their participation in another means-tested program, such as Medicaid or Temporary Assistance for Needy Families.